Option to use dissolvable filament on the 2nd head. 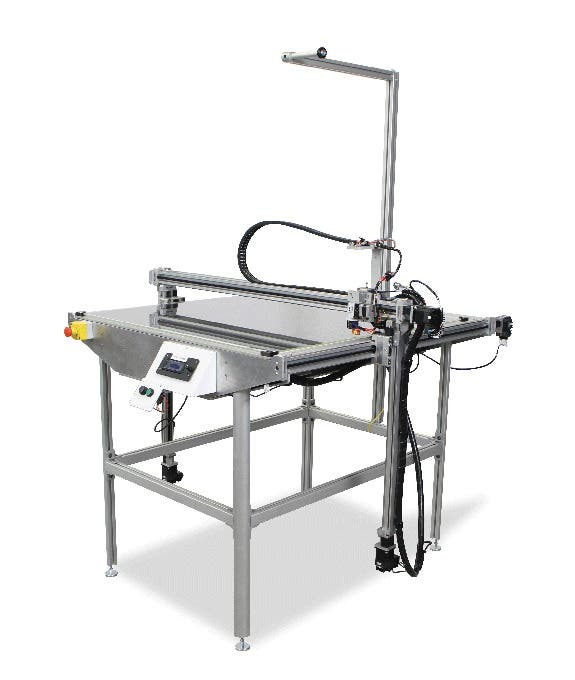 The 3DP Workbench Xtreme is a large-format 3D printer for manufacturers who require a larger build area than the Workbench 300 Series offers. 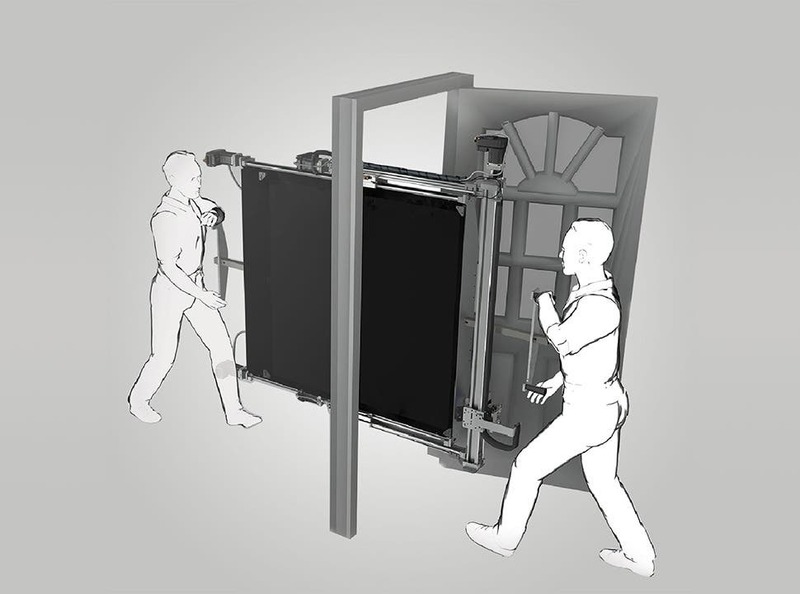 With a 1 m X 1.5 m x 0.7 m build volume, the Workbench Xtreme has 500mm more print length than the Workbench Pro for a total build volume of more than 1 cubic metre. It prints at a fast rate, with 16x the volumetric output of 3DP’s previous-generation extruders. The Workbench Xtreme will print down to a layer height of 50-microns (0.0019-inches), at print speeds of up to 273 mm³ /s (59.97 in³ /hr). 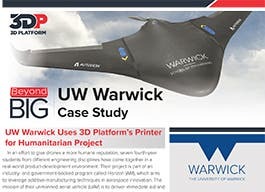 3D Platform's range of 3D printers are used by some of the World's leading brands, including Lockheed Martin, Nike, John Deere, The University of Warwick, Caterpillar and even Walt Disney. 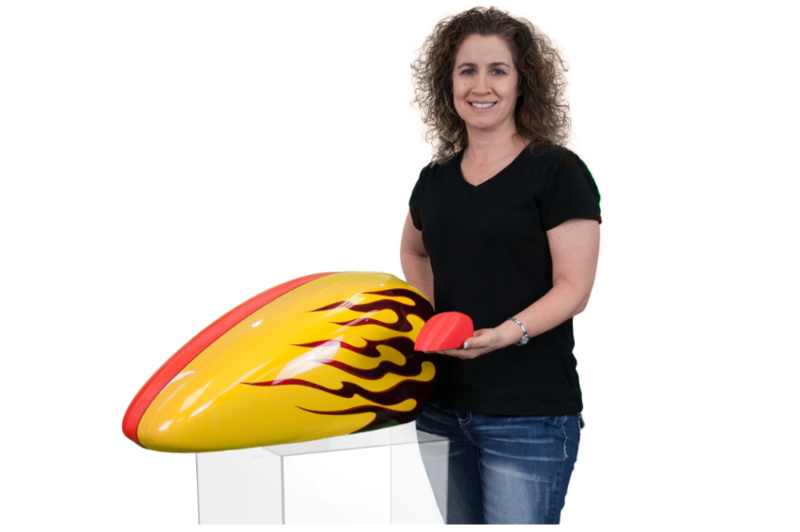 The Workbench Xtreme offers extremely fast print speeds, with 16x the volumetric throughput of 3DP’s previous generation of extruders. With print speeds of up to 273 mm³ /s (59.97 in³ /hr), the Workbench Xtreme offers manufacturers greater efficiency without sacrificing quality. The Workbench Xtreme also retains mechanical and Automatic Mesh Levelling, as well as single, dual and HFE print head support. Another advantage the 3DP Workbench Xtreme has over the Workbench Pro are its premium mechatronics, which are of a higher quality than the enhanced mechatronics in the Pro. The Xtreme’s mechatronics are designed for high-output 3D printing, making this 3D printer ideally suited to demanding environments such as manufacturing floors. 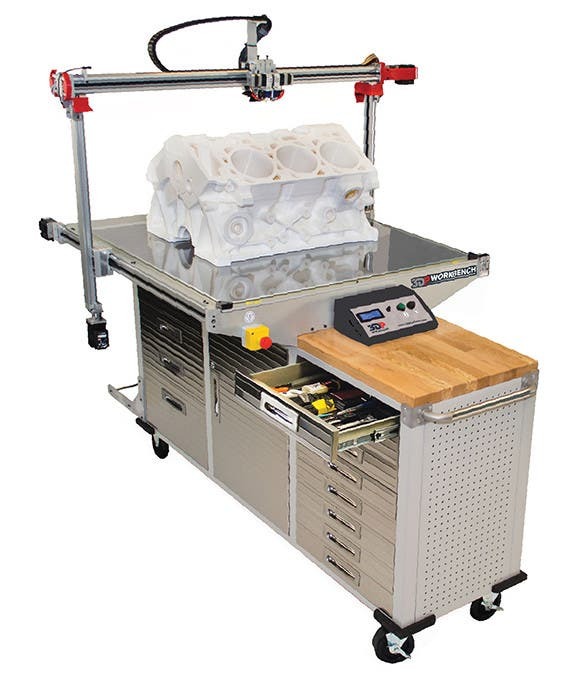 With its enhanced workbench, the 3DP Workbench Xtreme is a practical 3D printer for workshops and manufacturing floors. The frame is on lockable caster wheels for easy relocation, and the gantry folds in two for manoeuvrability. The Workbench Xtreme has the same physical dimensions as the Workbench Pro too, so if you need more build space but can’t sacrifice any more floor space, the Workbench Xtreme is a good solution. The Workbench Xtreme is controlled through a 7” touchscreen, and it has USB, SD card and Wi-Fi connectivity. 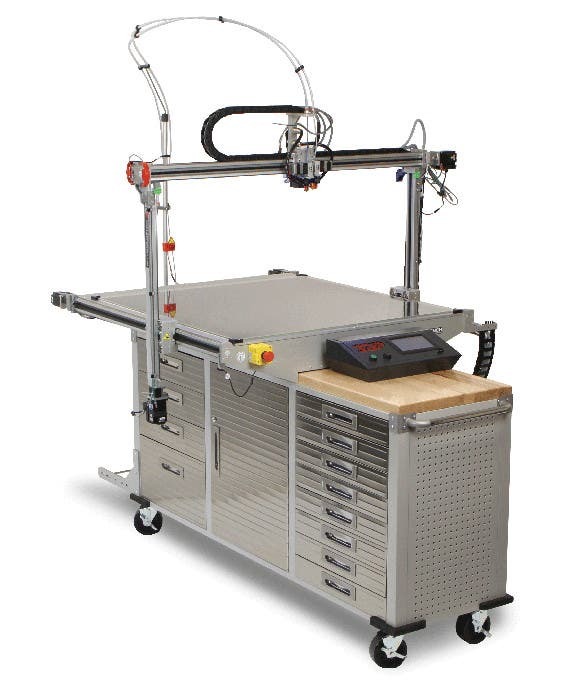 To find out more about the 3DP Workbench Xtreme, contact us today.